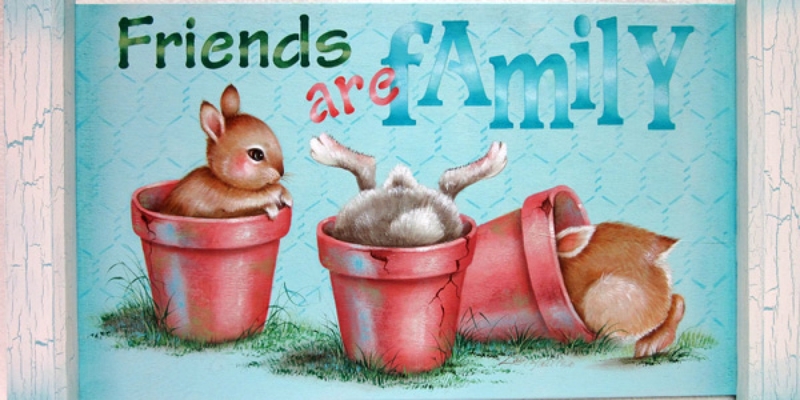 Three curious little bunnies are painted on a horizontal surface - long panel, small bench or tray. Chicken wire background may be stencilled or hand-painted. DecoArt Americana acrylic paints are listed. This E-packet download includes pattern and full color, laser printed step-by-step instructions.